Happy New Year, friends! 2016 was a doozy, but when all was said and done, we had more things to celebrate than to lament. From collaborating on creative projects with people who we admire to achieving business goals that we could only dream of when we first started out, we had a lot to be thankful for in 2016. We think that with a new year comes a fresh start and time for introspection, both in work and in life. With that being said, here's a look back at our favorite things from the past year. We started the year with a huge project stretched out ahead of us: creating custom art installations for the new Nashville expansion of the Urban Cowboy BnB. We could never have imagined that the project would turn into creating floor-to-ceiling and wall-to-wall wall installations, huge copper headboards, and eventually a custom bar for what would become one of Nashville's coolest new restaurants, the Urban Cowboy Public House. We've always wanted the company to move in the direction of full-fledged interior design, and this year we finally got to flex our design muscles. 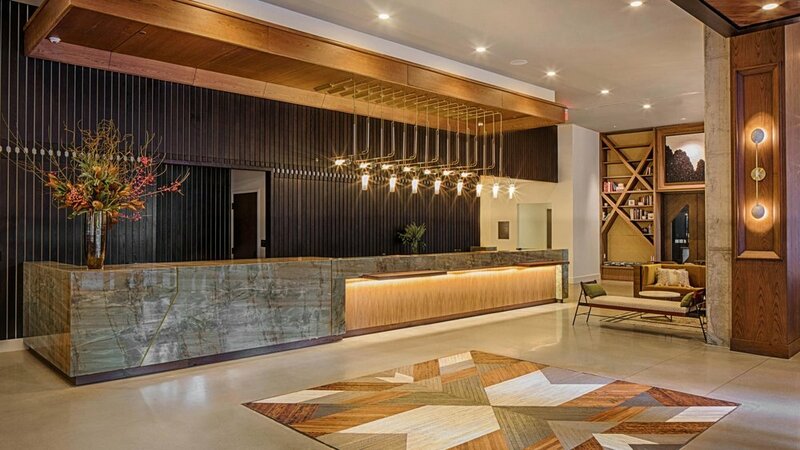 One of our favorites was this custom floor in the lobby of the Thompson Hotel in Nashville's Gulch neighborhood. One of our biggest honors in 2016 was getting to build a custom dining table for Husk owner Sean Brock's new Nashville home. The process and the finished product were both featured on the PBS series The Mind of a Chef, which made this huge project even cooler. We've been itching to collaborate with like-minded artists for a while now, and in 2016 we finally got to do some really cool things with some really cool people. We're especially fond of this massive piece that we created with San Francisco-based woodworker Aleksandra Zee.